Figure 15. Bovine. 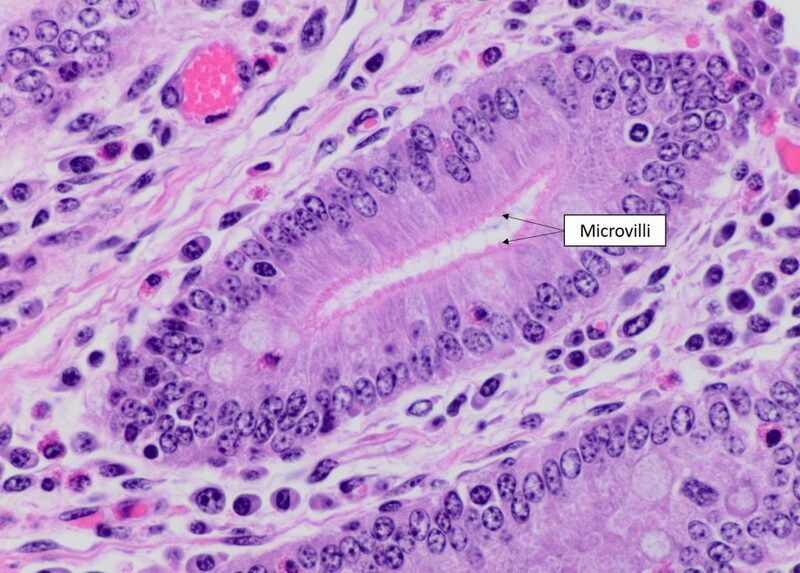 Microvilli are present on the apical aspect of the columnar epithelium from the duodenum. Figure 16. Canine. 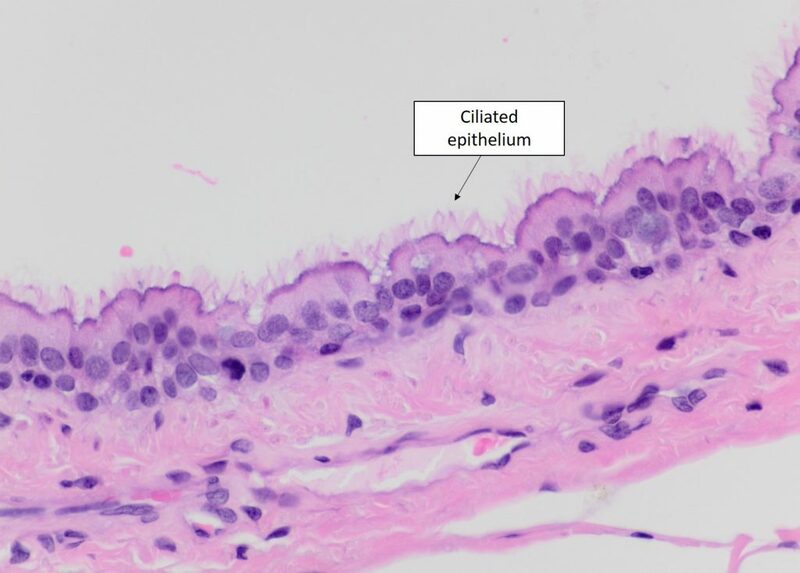 Pseudostratified epithelium of the trachea with prominent cilia on the apical surface. Figure 17. Canine. 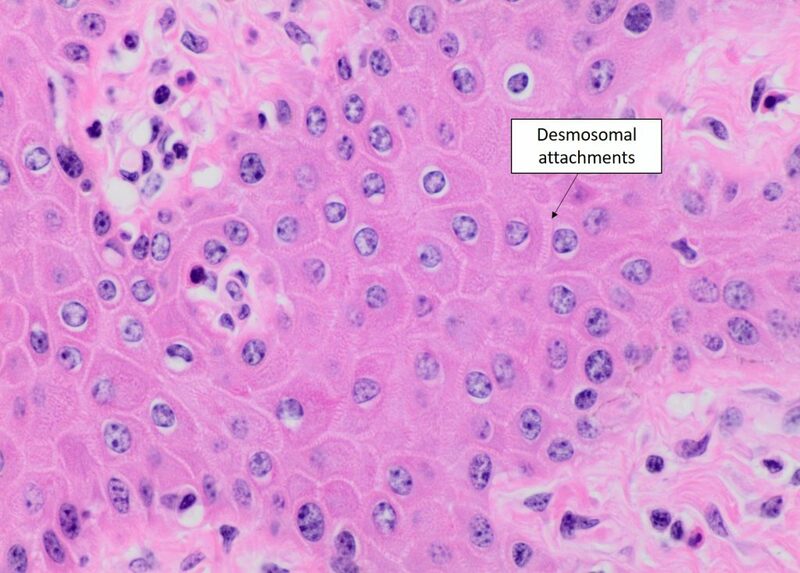 Prominent desmosomes present between keratinocytes of stratified squamous epithelium.